While there are still two days of competition remaining, 13 countries have already won medals during this first day of the Agadir Grand Prix, in Morocco, Slovenia occupy the top of the pyramid with one title, one silver medal and two bronze medals, which demonstrates a quite impressive overall quality of the delegation. Behind Slovenia, Kazakhstan is in second place with one title and one silver medal, while Israel, Russia and Switzerland also claimed a title. Five titles for five different countries, once again judo demonstrates its global and universal dimension. From the beginning of the day, it was difficult to make reliable predictions, as the competition draw sheets seemed to be really open. While the -52kg for women, and the -60kg for men saw the competitors with the best world ranking facing in the final, in the other categories, things were not so balanced. 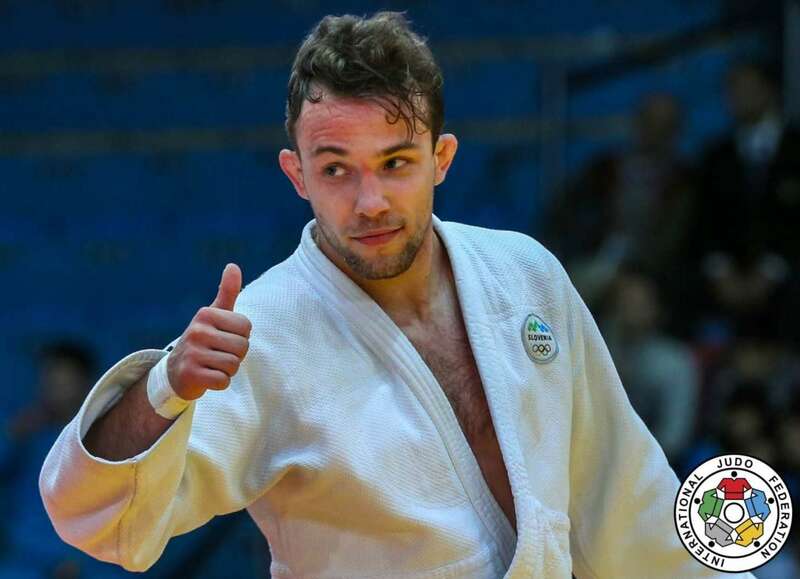 For example, in men -66kg one could legitimately expect a final between Georgii ZANTARAIA (UKR), finalist of the Düsseldorf Grand Slam less than two weeks ago, and Mikhail PULIAEV (RUS), triple world silver medalist, but it was outsiders who finally won the laurels. Adrian GOMBOC (SLO), who was 39th in the world on the morning of the competition, is no stranger to being in the hunt for major medals since he finished fifth at the Rio 2016 Olympics. To see him with gold at the end of the day is not a total surprise, but despite all, the premature defeat of the favourites were unforeseen. 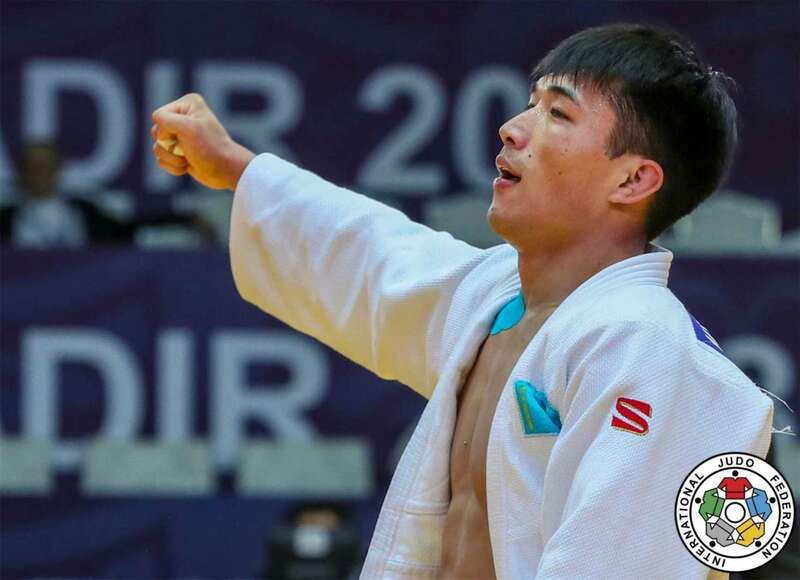 Thus in the -60kg, it was the two favourites who faced off for the title and the logic of the world ranking was respected as Gusman KYRGYZBAYEV (KAZ) dominated the Turkish Bekir OZLU in a golden score of just six seconds. In the women's -52kg, the logic seemed to be respected until the last contest but, this time, it is the number two seed, Evelyne TSCHOPP (SUI), who beautifully won after an excellent piece of ground work. We will also remember that during this first day, the long sequences of ground work allowed many athletes to show all the panoply of their talent. In -57kg, everyone was expecting a performance from Miryam ROPER (PAN). With her experience of high competition, her prize list, and top seed position of the competition, she had all the cards in hand to be among the best. That's what she did as she climbed onto an international podium again by winning a bronze medal full of panache against Lisa MARCHESE (FRA), who never seemed able to endanger her more mature opponent. Unfortunately, Miryam had to bow to the semifinal when she felt a little pain in her shoulder as she was defeated by Kaja KAJZER (SLO). Nothing serious, since the champion was at the rendezvous of her third place. The path of the former German international, who now defends the colours of Panama, remains exemplary. At 35, she still shows an explosive judo that could take her to Tokyo 2020, which would be amazing. Still, the path is long, but we will carefully continue to follow her. Also in this -57kg category, the one that made the strongest impression was the Israeli Timna NELSON LEVY (ISR) as nothing seemed to bother and especially not Kaja KAJZER (SLO) in the final who was never in the position to disturb her. Despite the defeat of PULIAEV in the men's division, the Russian school was still present in class in Agadir, since Irina DOLGOVA (RUS) won without any trouble in the lightweight category. With the Olympic qualification phase approaching soon (beginning in May 2018 in China) and some big names who are not really out of the woods yet, a Grand Prix like that of Agadir remains very interesting. We see delegations like France which came with young people who could be the face of the next generation of tricolour champions. It is certain that such an event gives them precise indications of the level to be reached. Among the overall results, it is important to underline the very good performance of the delegation of the host country, since Morocco won a beautiful bronze medal with the young Issam BASSOU (MAR), and reached two times the fifth places and two times the seventh, which is promising. Tomorrow, four categories will be in action: -73kg and -81kg in men and -63 and -70kg in women with the best chance of gold medal for Morocco resting on Aasmaa Niang which we proposed to you in the profile columns at the beginning of the tournament. The Russian Musa MOGUSHKOV and especially his countryman, the Olympic champion Khasan HALMURZAEV, will be under scrutiny as well.